2017 marks the 70th anniversary of Remer's annual Harvest Festival. Inspired by the efforts of the new Community Garden program, the Chamber chose to reflect on the original intent of the festival in 1947 which was for the town to come together and celebrate a successful growing season. Thus this year's theme is "Celebrating The Harvest". ​ Friday August 11th starts off the festival with many of the flea marketers already in place for your shopping pleasure. At the Fire Hall starting around 5 pm St. Paul's Catholic Church is once again sponsoring a Cake Walk & Bake Sale. Our 'Garden Party' also features food prepared by Terry Gross, Awards Ceremony at 6:00 to announce Grand Marshal and Business of the Year followed by music by The Buzzardz until Fireworks at dusk. ​ Saturday August 12th is a full day of events starting with the Pancake Breakfast sponsored by First National Bank North from 8-10 am at the Depot (Old Village Hall if inclement weather). Walt's Bloody Mary Bar will be on hand again this year. All day Flea Market, crafters, kid's games and various food vendors are expected. 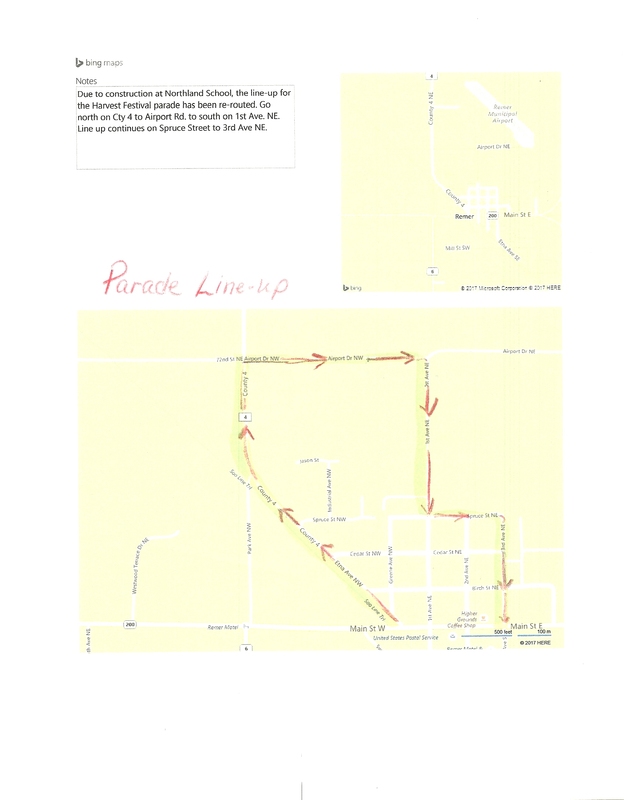 We have the Kiddie parade followed by the main parade at noon down Main Street (new parade staging area this year due to construction at the school, details to follow), with Bingo at 1:30 and Meat Raffle at 3 pm at the Fire Hall. More music by The Buzzardz and we wrap up the festival with the raffle drawing at the Muni. ​ The Chamber's Traveling Beer Wagon will be in town both days too! The "Inspire Me" Playground committee will be having a fundraiser yard sale and silent auction set up on the corner of 2nd & Main St.